Want to Relax in a Fun 55+ Community? Cottonwood Country Club homes in Sun Lakes AZ are in demand and we have the real estate team that can help you find your perfect home! Now, is the time to take a look at the current inventory before they sell out! Inventory has been low in Cottonwood Country Club, and this is the time that some snowbirds take their homes off the market for the summer season. 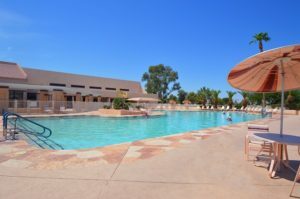 But, inventory is still available and if you have been thinking of moving into an Arizona active adult community, this may be the perfect time! 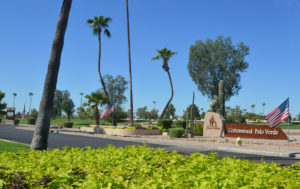 Cottonwood Country Club is one of five Sun Lakes AZ communities and has over 2,700 homes. Cottonwood has its own resort amenities including an 18 hole Championship golf course, swimming pools, hot tub, pickle ball and tennis courts, restaurants, walking paths, fitness center and much more! Homes for sale that are in good condition are selling fairly quickly. You can search for homes on our website or we can set up a specific search for you. Sign up for new listing alerts here. If you are looking for Cottonwood Country Club homes in Sun Lakes AZ, you want a Realtor who knows the area, the floor plans and the real estate market trends. The Kolb Team not only lives in Sun Lakes AZ but we have sold over 80 million in real estate. We can help you find the perfect home in Cottonwood Country Club or any other Sun Lakes community. For more information about Cottonwood Country Club homes for sale contact us at 480-440-0849 or online here.